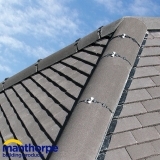 Manthorpe's roll-out dry hip system is a quick, easy and reliable product for creating durable, ventilated fix for your hip tiles. We've got everything you need in stock, including the system itself in a range of colours and additional hip support trays, should you require them. 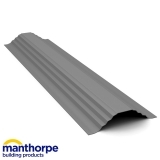 If you aren’t sure which Manthorpe hip ventilation products are right for your project, give our customer service team a call on 01752 692760 and they’ll gladly talk you through it.